I watched an episode of The Pioneer Woman on Food Network today, and in this episode I noticed that Ree’s sweet teenaged daughter was drinking her lemonade out of a small Mason jar. Adorable. Now I’m not sure whether that is a normal thing to do in the Drummond household, or if, in reality, the show’s stylist stuck it in her cute little hand since right now, the humble Mason jar is a bit of a design celebrity due to a site you might have heard of: Pinterest. But I digress. Though we were happy, ministering to kids at our church and at the school, we were two other things, as well: exhausted and broke. Our home was no-frills and that was just fine. Now, sweet tea was a staple in our newly-established home, as in most Southern homes, but we didn’t have any large tea glasses of our own. So what did we drink out of? 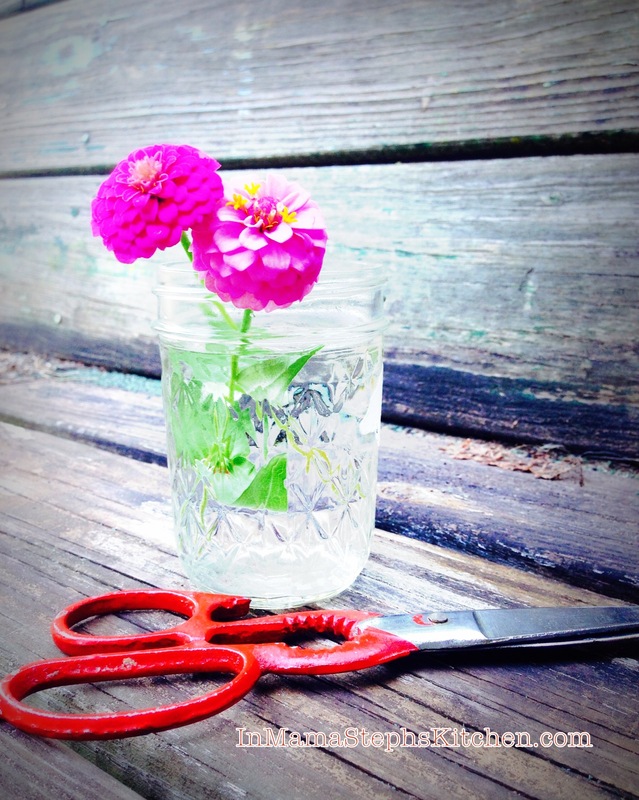 Mason jars. When someone at church would give us a jar of their extra-special plum jelly, we’d gratefully use it up on our breakfast toast or biscuits and then wash the jar…and there was a new tea glass. When mom brought us a jar of her apple butter, we’d try hard not to eat it all in one day (it was fabulous) and then, voila! Another new tea glass. My message to you homemakers of any age who live on a tight budget? Do what you have to do to make it; don’t worry if everything in your life is not pulled-together perfectly and Pinterest-worthy. Don’t worry if you’re not wealthy and successful like The Pioneer Woman. Sweet tea tastes as good from a Mason jar as it does from the finest crystal goblet, whether it’s a Pinterest sensation or not. A layer of pasta would work in this salad, too! 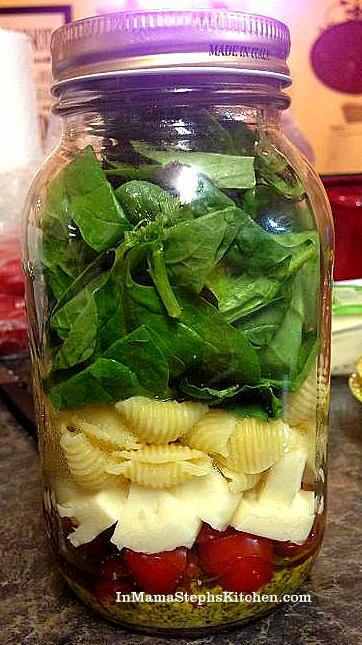 I never say no to pasta..
Hi Lady , I have been noticing the new craze with mason jars too! In my home we have always had jelly jar glasses as well as mason jars or the jars that you can get grapefruit in ! My favorite thing to use them for besides drinking my tea, is to clean green onion and store in the jar with the lid. It is great because there is no smell and it stays fresher won’t get soggy as quick. My husband likes when I clean and store celery like that as well. Great idea, Darlene! Hadn’t thought of doing that with green onions; have had great success with celery that way, though! I’ve been watching Pioneer Woman for a long time. Guess I’m addicted. On her shows she often cooks for crowd of hungry cowboys or just her family. There have been times when she made lemonade, put it in the mason jars with lids and carried the drinks to the family or anyone that may be working out in the field. Makes transport easy. She also uses them for desserts. So I really believe this is a regular use in their home.